The Big Beach House in Whiting Bay offers magnificent self catering accommodation. 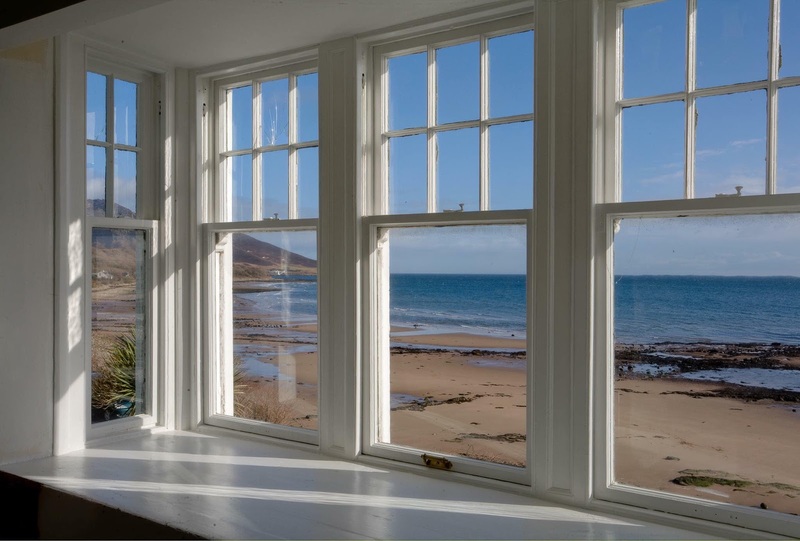 This luxurious Edwardian villa on the Isle of Arran was originally built in 1904 and is perfect for large groups or families. 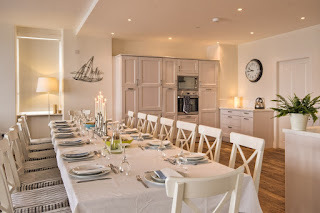 The Big Beach House sleeps up to 20 people & has been tastefully restored to a high standard, offering 1930's elegance with 21st Century comforts. Throughout the property you can savour breathtaking sea views. There are a total of 9 bedrooms and 7 bathrooms/en suite shower rooms. The ground floor has 2 double bedrooms (1 en suite) and 2 twins rooms (1 en suite). A single fold out bed is in the double en suite bedroom downstairs. Downstairs in the living room there is also a double sofa bed. Upstairs there are 4 double bedrooms (2 are en suite) and 1 twin bedroom which is also en suite. Upstairs there is a single fold out bed in one of the double en suite bedrooms. One of the double rooms upstairs is a three quarter size bed. The front bedrooms enjoy glorious sea views. Arran is famous for its gorgeous scenery and rugged hills. The house is opposite a stunning sandy beach. The area is perfect for bird watchers with swans other birds regularly on the shore. Lots of superb attractions are nearby.